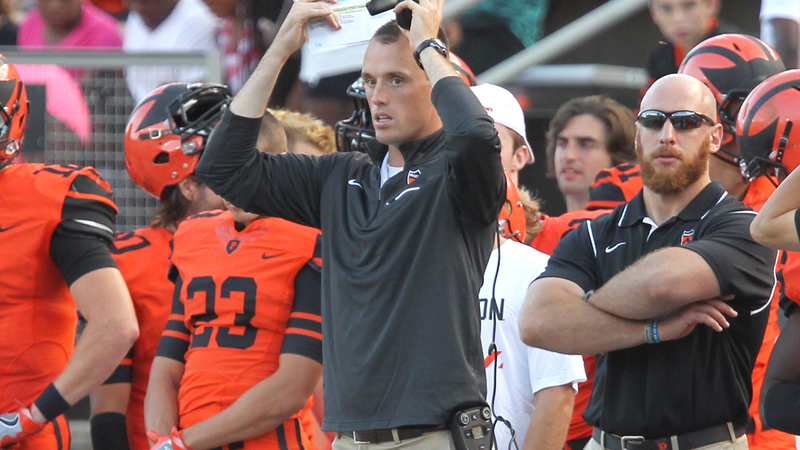 We have some questions for the former Princeton OC as he takes over the OSU offense. Last week, I took a look at new Oklahoma State offensive coordinator Sean Gleeson’s offensive scheme and style in a three-part series. After watching Princeton film, doing my own research and reading the articles written about Gleeson by other writers on PFB, I thought of a few questions on the Gleeson hiring related to the OSU offense moving forward. Below I’ll go over the three questions I came up with and my analysis and findings after diving into each one. 1. Will the Cowboys utilize two-running back formations? When watching film on the Princeton Tigers, I didn’t see a lot of split-backfield formations featuring two running backs. However, this is definitely something that’s in Gleeson’s arsenal as a playcaller, as shown from the split-back set in the following clip. He also showed two-running back sets out of the Pistol formation, see the image below. Gleeson is more prone to utilizing tight ends and fullbacks in an H-back position than he is using two running backs. Although, he hasn’t led an offense with talent like Chuba Hubbard, Dezmon Jackson, Deondrick Glass, Jahmyl Jeter and LD Brown in the backfield. With the success the Pokes saw from two-running back formations last season, like in the clip below, and Gleeson having some familiarity with it, I expect this will be something we continue to see in 2019. 2. How will he attack the talented Tite front defenses of teams like Iowa State and Texas? The Tite-front defense has become very prevalent in the Big 12 in recent years. Teams like Iowa State and Texas have had a lot of success in stopping their opponents ground attacks with this defensive alignment. A lot of the film I watched showed Princeton’s offense going up against four-man fronts, so this will be something Gleeson isn’t extremely familiar with from his time calling plays for the Tigers. However, I think he possesses the versatility in his playbook to find success on the ground against this defense. Teams like Maryland found success with their rushing attack against UT by utilizing motion and misdirection in their play calling. They got the Longhorns out of position and attacked the open areas of the defense. Gleeson uses plenty of pre-snap “eye candy” and post-snap misdirection to compliment it. For instance on this outside zone-read play where the entire offensive line and running back flow towards the bottom of the screen. The Princeton QB makes his read and pulls the ball back with nothing but green grass in front of him. Gleeson adds in the additional wrinkle of the slot receiver to the top of the screen blocking down on the linebacker to open up even more room to run. In addition, plays like this “Bash” concept should also be able to open things up against a Tite-front defense. The offensive line blocks the zone run for the Tiger quarterback, the QB reads the defense and gives it to the motion man going to the back-side of the play. 3. Will he be able to score in the red zone? Gleeson may be able to use his creativity to bust big plays but what will happen once he gets in the red zone? Well, I actually think his creativity goes up a level in that area and I think his influence on the Cowboy offense will be felt right away in this phase of the game. 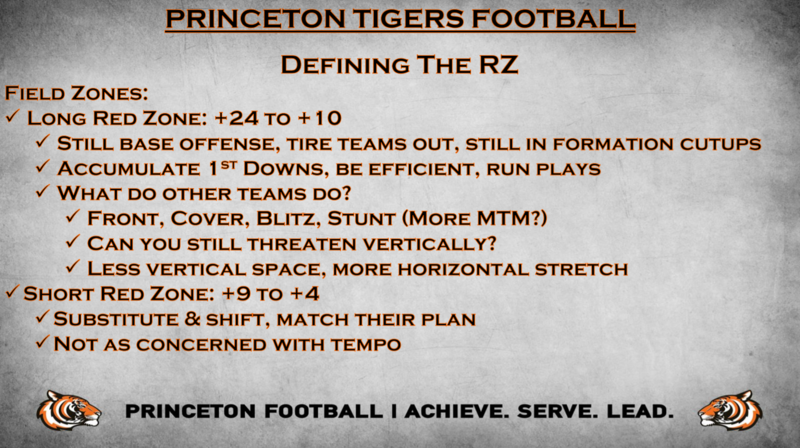 To give you an idea of how the former Tiger OC operates, see the image below from a Glazier Clinic presentation where Gleeson shows how he defines the red zone. Gleeson likes to use inside zone, sweeps and passing concepts like smash, rub and snag to attack in the red zone. But along with those type of plays, he also states that “unique ideas” are a major part of his red zone game plan. 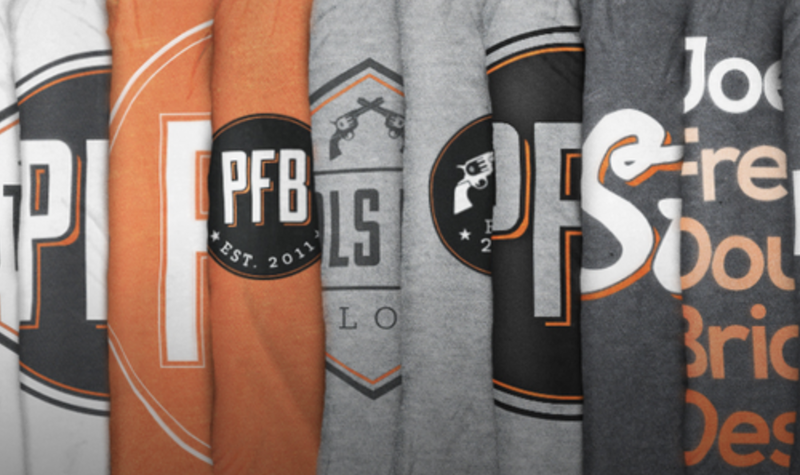 These ideas include plays like the one below which features a run fake, a bootleg roll out and then a throwback to the other side of the field for a touchdown. Or, this wide receiver pass shown in the following video. Gleeson has shown that he has a lot of trick up his sleeve when it comes to scoring in the red zone. I think this innovation will prove to be very beneficial for the Cowboys next season and into the future. He’s also not opposed to getting physical and running the ball behind a fullback when he gets near the goal line.